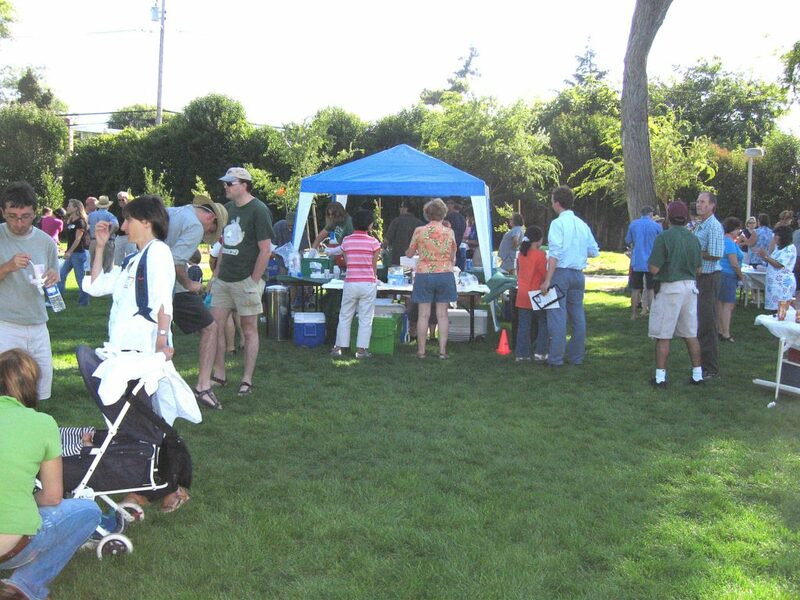 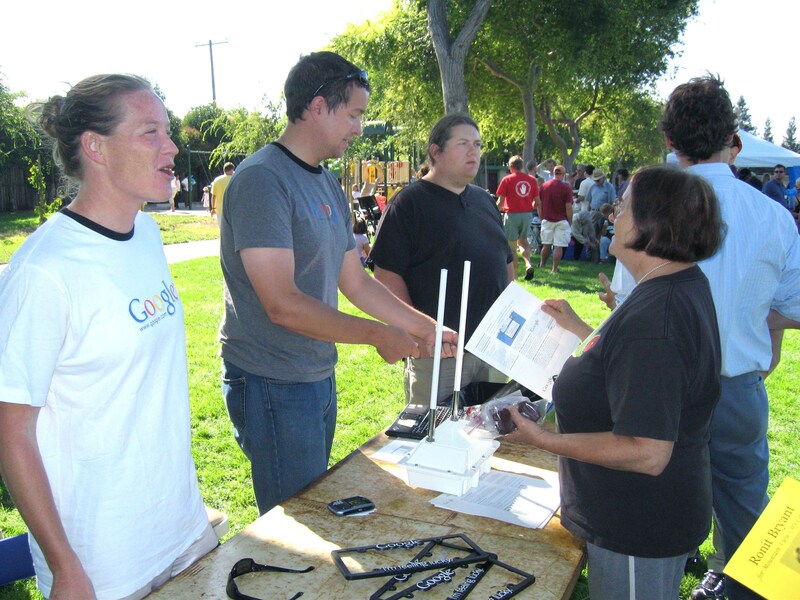 The ice cream stand was the focus point at the 2006 Ice Cream Social. 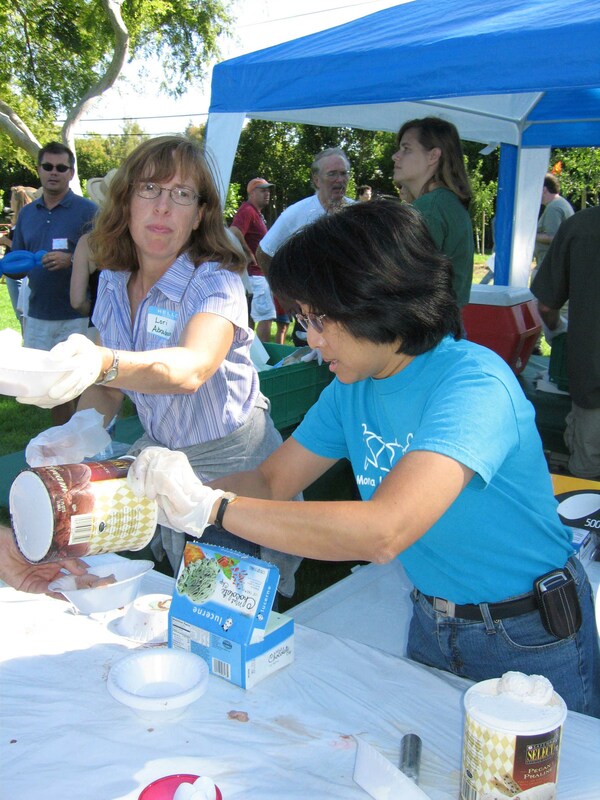 Lori Abrahamsohn and Maria Harnoto scooped ice cream. 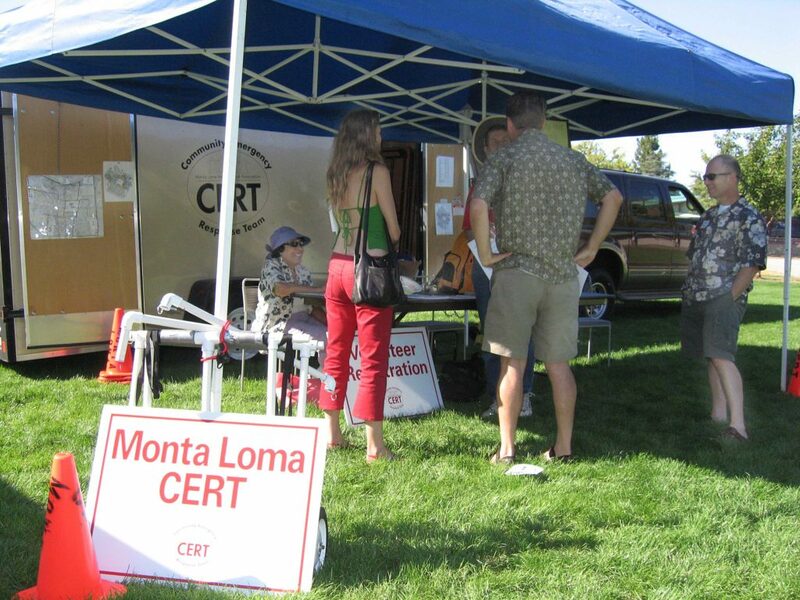 CERT members Joan MacDonald and Buff Furman took a turn staffing the CERT display. 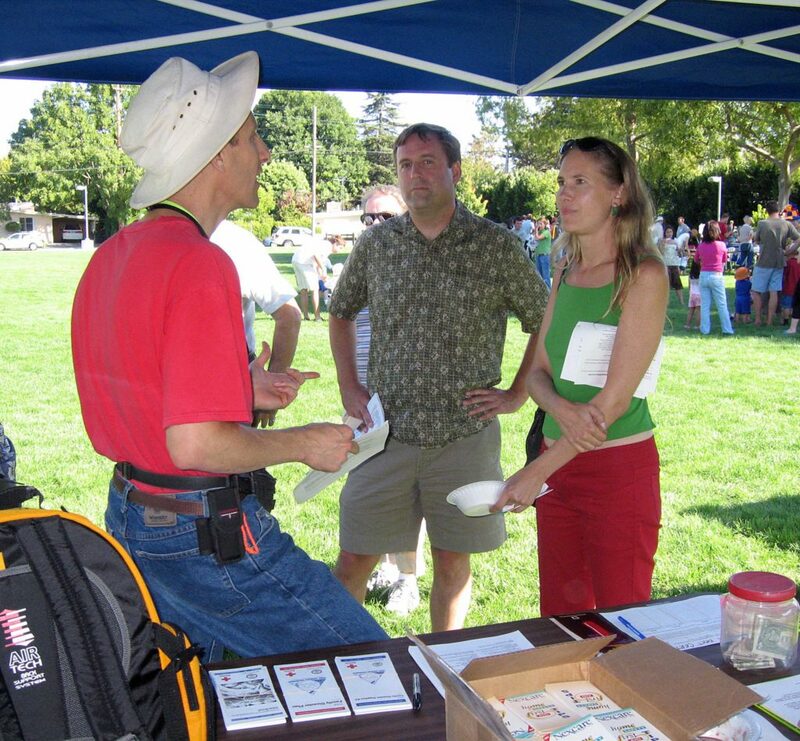 Buff Furman explains CERT to visitors. 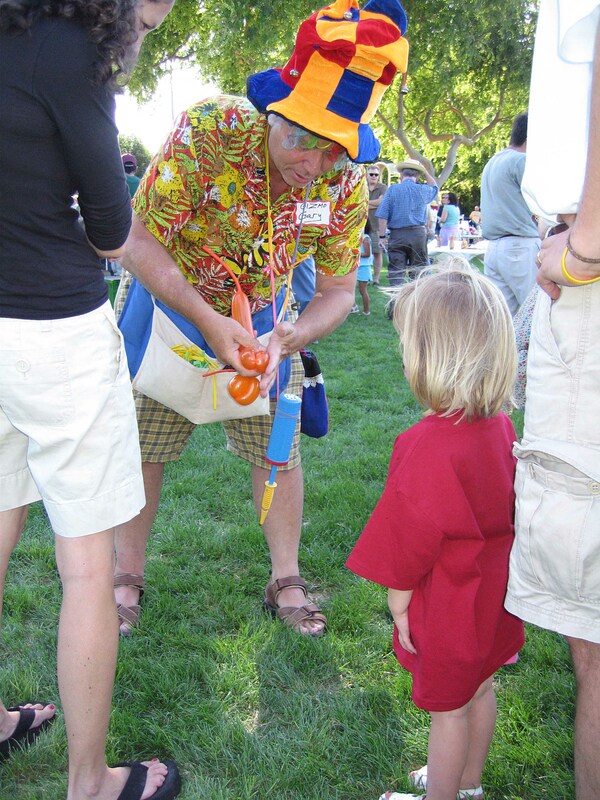 “Gizmo Gary” Heyman gave each child one of his balloon creations. 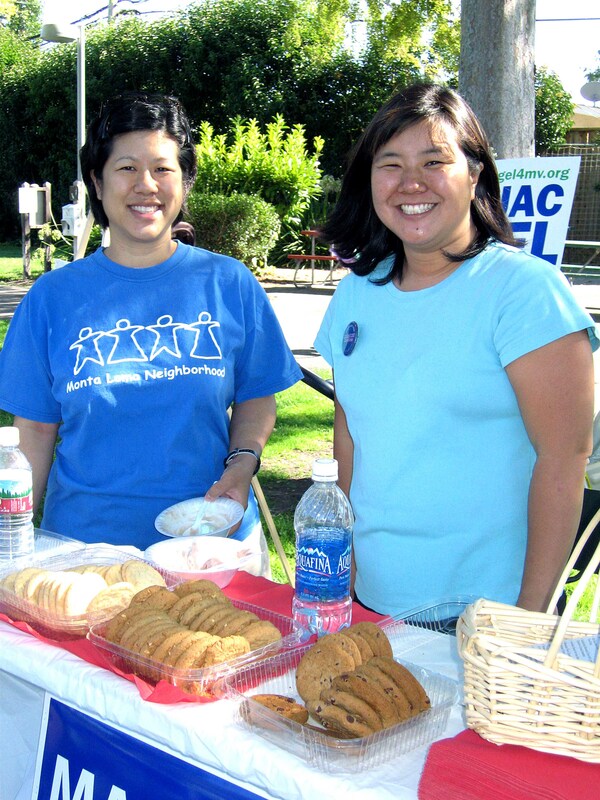 Tilly and Margaret Abe-Koga offered cookies at Margaret’s campaign table. 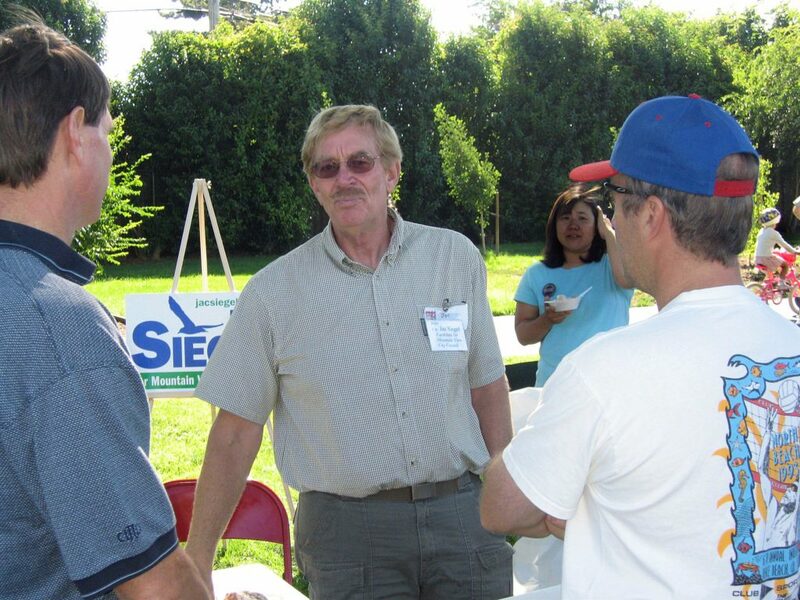 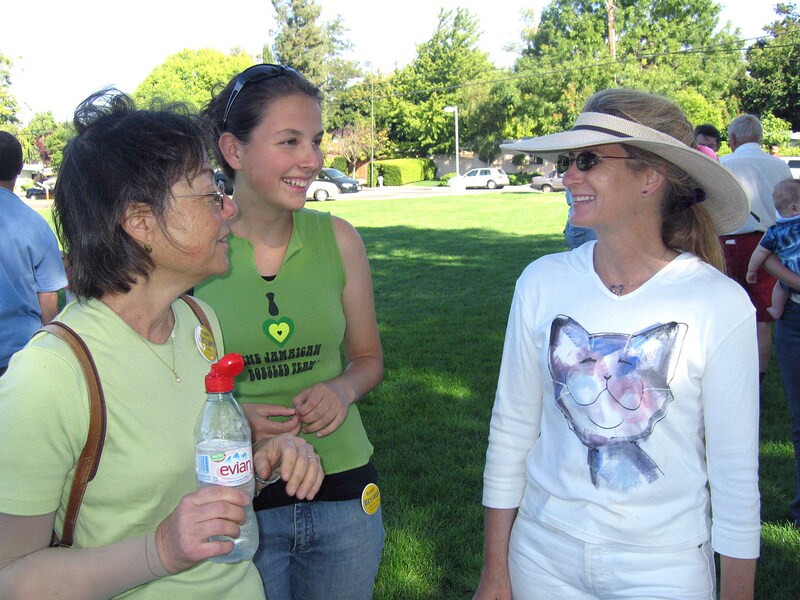 Jac Siegel chatted with voters.